Glenhest is a small village located in County Mayo on the West Coast of Ireland about six miles inland from the Atlantic Coast. 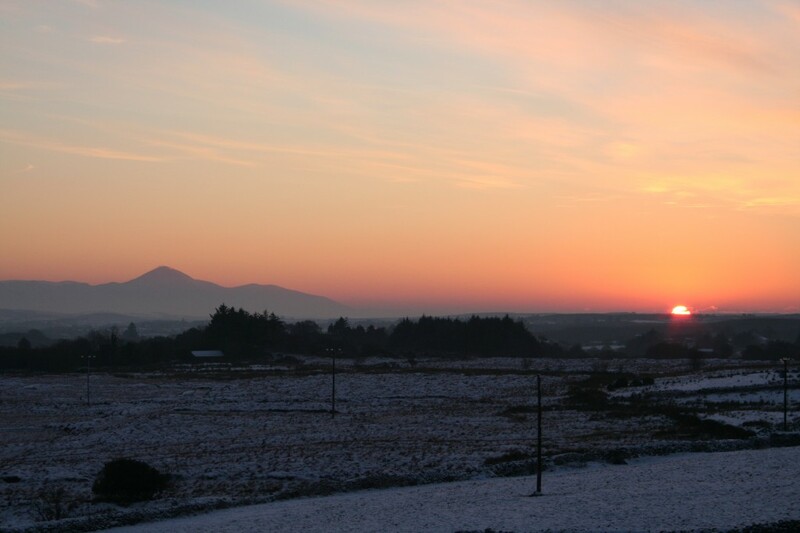 The Glen is flanked by the picturesque Nephin (Néifinn) range of mountains on each side. Croagh Patrick (Cruach Pádraig) Ireland’s Holy Mountain is clearly to be seen casting it’s pyramid type gaze from the south west. Glenhest is north east of the coastal town of Newport (Baile Uí Fhiacháin) which lies on the shores of Clew Bay and the Black Oak River (Abhainn na Daraí Duibhe). The Black Oak River flows from Lough Beltra in Glenhest through the town of Newport and out to Clew Bay and the Atlantic Ocean.